Grew Up… in a broken household. Since her parents’ messy divorce, Beca has closed herself off emotionally. She doesn’t let potential friends or romantic partners get too close before she pushes them away. Profession… freshman student at Barden University. Beca wanted to move to L.A. to pursue a career in producing music, but her dad forced her to attend college and get a degree first. She’s not happy about being stuck at Barden, preferring to spend her time sleeping rather than going to her philosophy class. When her father noticed her reclusiveness, he offered her a proposition – if Beca gets involved with a club and still wants to leave Barden after the school year is over, then he will help her move to L.A.
Interests… all things music: listening to it, mixing it and… singing it. Due to her dad’s proposition, Beca reluctantly looked for an extracurricular activity to get involved with. 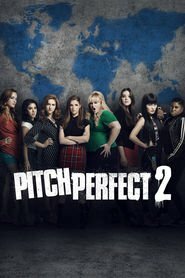 Fortunately, when Beca was singing in the shower, a senior convinced her to join the all-girls a cappella, the Barden Bellas. At first Beca thinks the choreographed dance moves and coordinated outfits are cheesy and antiquated, but hopes to give the Bellas a much-needed upgrade. Relationship Status… single. One of her only friends at school, Jesse, is instantly smitten with her, but Beca repeatedly rebuffs his advances despite their obvious compatibility. Jesse is another example of Beca’s inclination to push people away, and he is becoming tired of waiting around. If Beca does not change her closed-off ways, she might lose her best friend. Challenge… convincing her fellow Barden Bellas that the only way to win nationals is to sing new, mashed-up songs. Senior Aubrey Posen runs a tight ship, and refuses to change their “perfect” routine. However, when the Bellas perform, the audience often dozes off. Beca recognizes that their routine needs a serious makeover if they want to beat their all-male rivals, the Barden Treblemakers, whose routines are hip, modern and exciting. Audrey, however, is desperate to win after the previous year’s terrible loss and shuts Beca down every time she tries to “remix” things. Personality… cynical, rebellious, and reclusive. Beca is a bit of a loner and admits that she hasn’t had many female friends for most of her life. 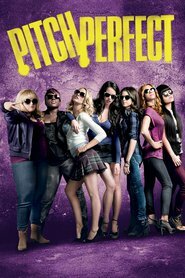 This starts to change once she joins the Bellas, but Beca’s frequent challenges to Aubrey’s authority instantly make her the uptight senior’s enemy. Beca, though, is relentless — even to the point of recklessness — because she’s so passionate about music. While tough on the outside, Beca is more sensitive than she lets on, and truly values the friendships she’s made because of a cappella. Beca Mitchell's popularity ranking on CharacTour is #45 out of 5,000+ characters. See our top-ranked characters and read their profiles.